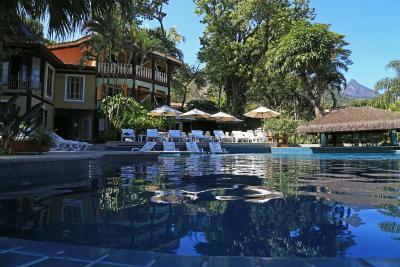 Lock in a great price for Porto Pacuíba Hotel – rated 9.4 by recent guests! From the cleaning lady to the manager class staff, their hospitality was great! Beautiful facilities and nature inside the hotel. Hotel own made breakfast. All very delicious. The property was beautiful. The food was amazing. Only thing is the beds were slightly hard for me and the shower was small. A very pleasant staff, a great location, an excellent breakfast. Nice place, really beautiful surroundings. The hammock on the balcony is amazing. Nice to rest and work when you need some time away. 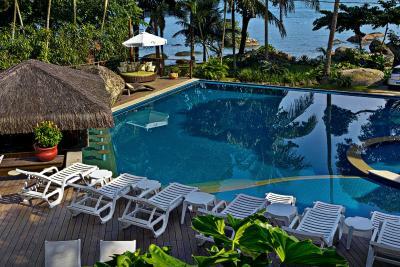 Really nice hotel, with beautiful views. Breakfast is delicious, don’t forget to try the pão de queijo. 10/10! 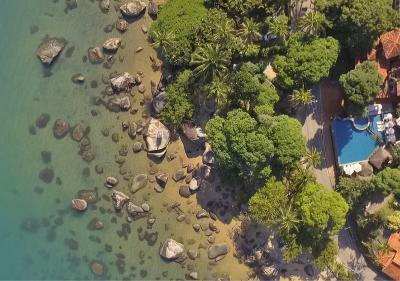 Werner (the owner) and his crew provide you with an awesome stay at this hotel! The breakfast is perfect with a wide variaty of tasty food. The Room was perfectly clean with a little balcony including a hammock. Pool, Jacuzis, Sauna, BIG TV-Room.. just awesome! Beach is right in front of the hotel just across the street. We will definitely come back! 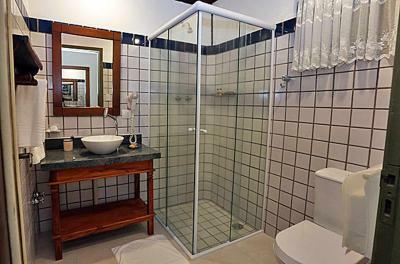 Porto Pacuíba Hotel This rating is a reflection of how the property compares to the industry standard when it comes to price, facilities and services available. It's based on a self-evaluation by the property. Use this rating to help choose your stay! 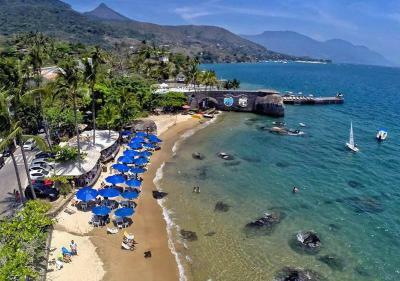 One of our top picks in Ilhabela.Located on scenic Ilhabela, on Viana Beach, the recently refurbished Porto Pacuíba offers spacious accommodations. 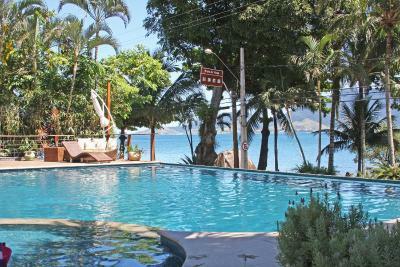 Facilities include an indoor pool and an outdoor heated pool, 2 hot tubs, a deck with panoramic sea views, and free parking. 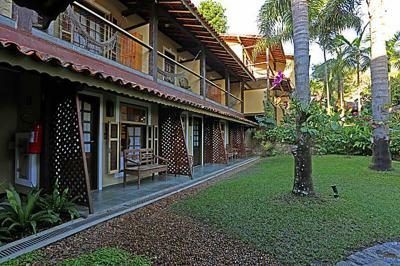 Rooms at the Porto Pacuíba Hotel feature silent air-conditioning and an LCD satellite TV with more than 90 TV channels and music. Some rooms have a private balcony with sea or garden views. Ran by Chef Arthur Alves, Portofino Restaurant serves an international menu signed by Chef Michel Darqué. 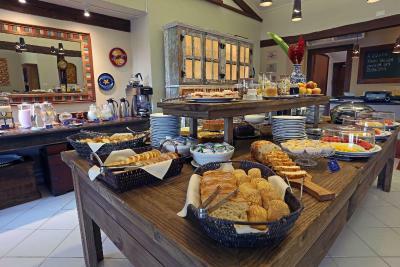 A breakfast buffet with over 50 options of homemade cakes, jams and cheeses is available. Custom dinners and menus can be designed for special occasions. Guests can also relax by the pool with a drink from the hotel bar, enjoy a revitalizing massage in the spa, or make use of the sauna. Free Wi-Fi is available throughout the hotel. 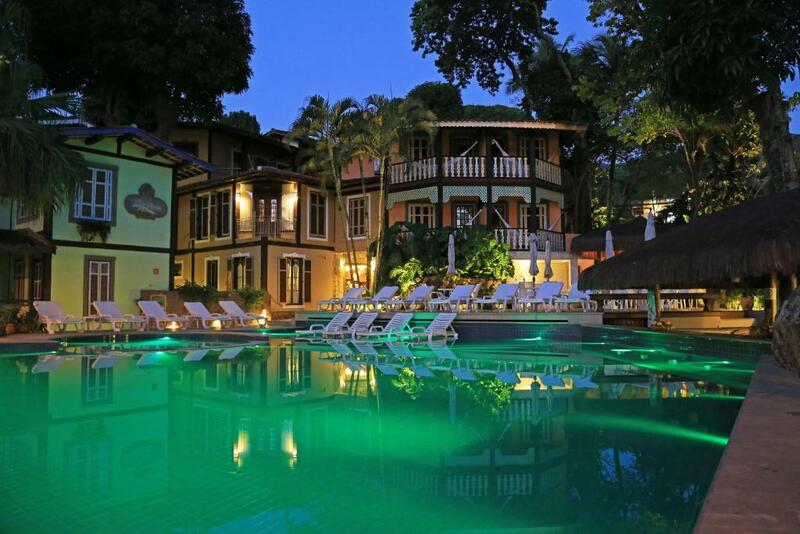 When would you like to stay at Porto Pacuíba Hotel? This air-conditioned room offers a private balcony with an internal view. A 26-inch LCD TV with satellite channels and a DVD player are included. Also available are a ceiling fan, mini-bar, telephone and safe. 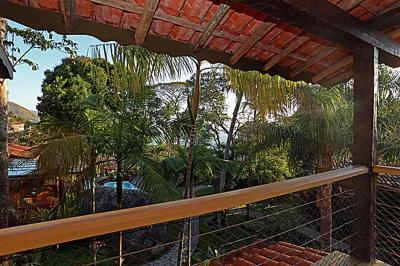 This air-conditioned room offers a private balcony with a view of Viana Beach and the hotel pool. A 32-inch LCD TV with satellite channels and a DVD player are included. Also available are a ceiling fan, mini-bar, telephone and safe. This luxurious, air-conditioned suite has been created in 2011. It offers a queen-size bed, mini-bar and a 32" LCD TV with a PlayStation 2 and Sky access. This air-conditioned room offers a mini-bar, safety deposit box and a 26" LCD TV with Sky access and a DVD player. 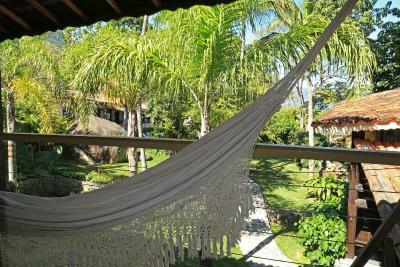 Located on the top floor, all features a balcony with a hammock and garden views. This remodeled suite offers additional space, a 32-inch LCD TV with satellite channels, air conditioning, a ceiling fan, mini-bar, telephone and safe. It also includes a Playstation 2 in each bedroom. 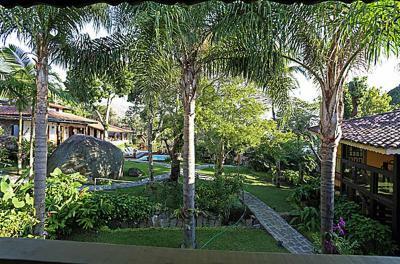 A place for those who enjoy perfect integration with nature. 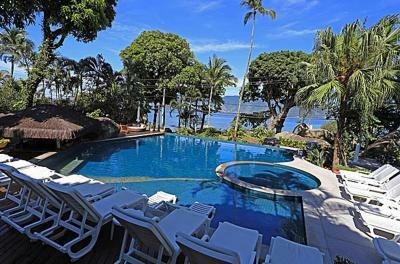 A right balance of leisure and comfort, in a relaxing environment with superior service. 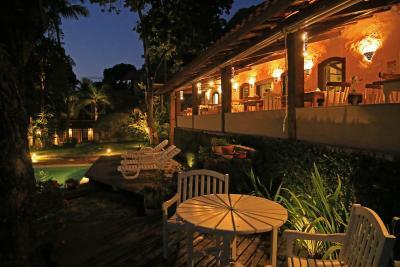 Fine cuisine, in one of the best rated restaurants of Ilhabela, completes the unforgettable experience and turn it unique. 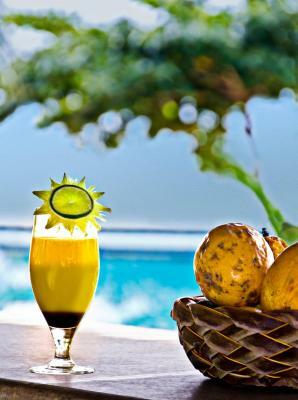 House Rules Porto Pacuíba Hotel takes special requests – add in the next step! 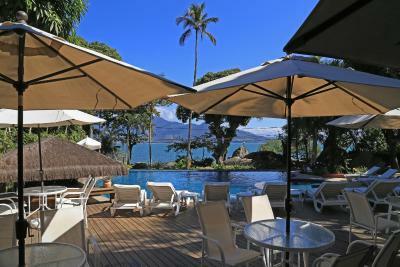 Porto Pacuíba Hotel accepts these cards and reserves the right to temporarily hold an amount prior to arrival. A little too close to the road, but no big deal, as it was not a busy road. Room very simple, clean but basic. There are only few plugs for tablets and computer. A working desk would have been great to have. 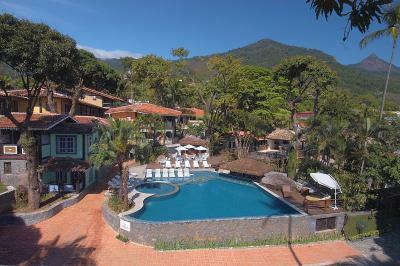 Excelente hotel! Voltaremos com certeza! All employees were amazingly friendly. We feltlike we were at home. The upper rooms don’t have elevator , but I guess it’s ok because the staff takes your luggage there.